Back to Document Groups. 28 Fundamental Beliefs. 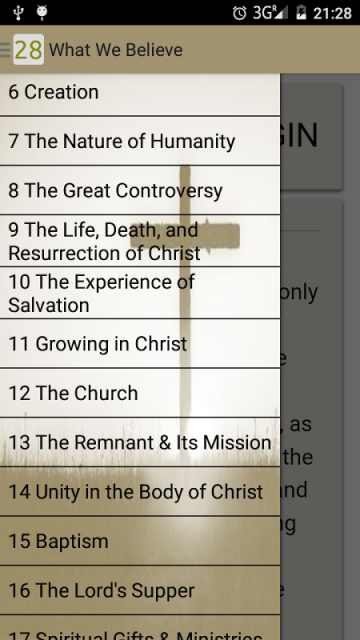 Some of the well know and not so well know doctrines of the church. Final draft of the 28 Fundamental Beliefs that will be sent to the General Conference session (PDF). The revised draft shows the first round of changes, which were approved in 2013, in purple and the second round approved on Monday in blue.